L-R: ICNC President Hardy Merriman; MUHURI Executive Director Hassan Abdille; Rev. James Lawson; HAKI Africa Executive Director Hussein Khalid; Vice President of IRA-Mauritanie Coumba Dada Kane; and Head of IRA-Europe Abidine Merzough. 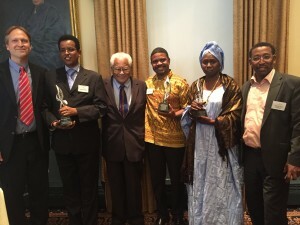 On Wednesday, June 22, 2016, key organizations within two movements received the James Lawson Award for Outstanding Achievement in Nonviolent Conflict, in recognition of their extraordinary use of civil resistance to challenge injustices that impact millions worldwide: corruption and slavery. In Mauritania, the Initiative for the Resurgence of the Abolitionist Movement (IRA) is at the forefront of a nonviolent struggle against slavery that has led to the liberation of thousands from Mauritania’s system of coerced servitude. Despite arrests of its leadership, IRA continues its work to free slaves and end discrimination against oppressed groups in Mauritanian society. 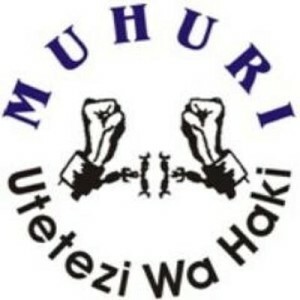 In Kenya, HAKI Africa and Muslims for Human Rights (MUHURI) are leading organizations that empower and mobilize communities to engage in grassroots nonviolent action to end corruption, impunity, poverty, and marginalization as experienced by regular people in Mombasa and the coastal region. All three organizations have been subject to harsh government repression for their actions. For more information on the 2016 award ceremony, read the ICNC Summer Institute 2016 press release. 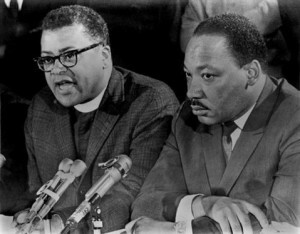 Reverend James Lawson and Reverend Martin Luther King, Jr. Founded in 2011, the James Lawson Award for Achievement in the Practice, Study or Reporting of Nonviolent Conflict is presented annually during the ICNC Summer Institute. It is awarded to practitioners, scholars, international actors and journalists whose work serves as a model for how nonviolent resistance can be developed, understood and explained. The 14 laureates to date represent a broad range of people with relationships to past and ongoing movements. The award is named after the Reverend Dr. James Lawson, who in the 1960s organized and led one of the most effective campaigns of nonviolent civil resistance in the 20th century: the Nashville lunch counter sit-ins, which added significant momentum to the US Civil Rights Movement. In the years that followed he was involved in the strategic planning of other major campaigns and actions and was called “the mind of the movement” and “the leading theorist and strategist of nonviolence in the world” by the Rev. Dr. Martin Luther King, Jr.
Watch the 2015 Lawson Award Ceremony at the ICNC Summer Institute. Read the 2015 Lawson Award press release. Read about, and watch a video interview with Iyad Burnat on openDemocracy. Order a copy of Iyad Burnat’s book, Bil’in and the Nonviolent Resistance. 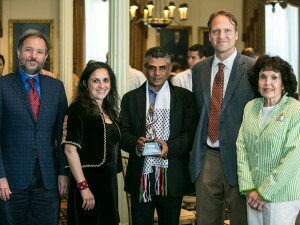 Read “Eleven years of protesting Israel’s occupation” in Al Jazeera, which mentions Iyad Burnat and the award. Watch the 2014 Lawson Award Ceremony at the ICNC Summer Institute. 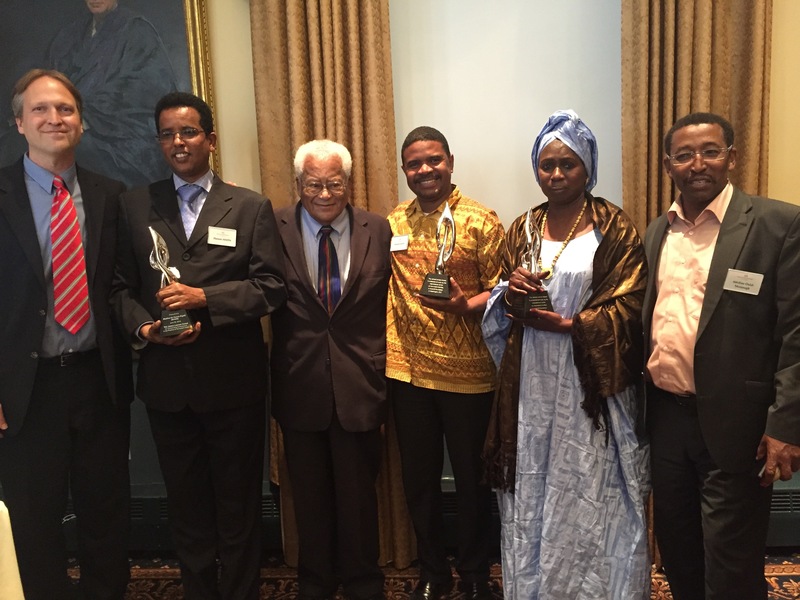 Read “James Lawson Award helps to build the legacy of activism” on Waging Nonviolence. Watch the 2013 Lawson Award Ceremony at the ICNC Summer Institute. Read this Public Radio International article about Evgenia Chirikova. Read this Deutsche Welle interview with Jenni Williams. Read this article on Oscar Olivera in la Razon (in Spanish). Watch the 2012 Lawson Award Ceremony at the ICNC Summer Institute. Read about the ceremony in Waging Nonviolence.